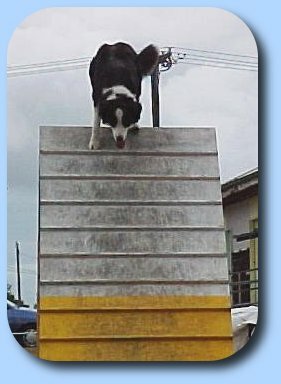 Ivanova was a natural at agility. Here she is going over her first scramble in her first trial. 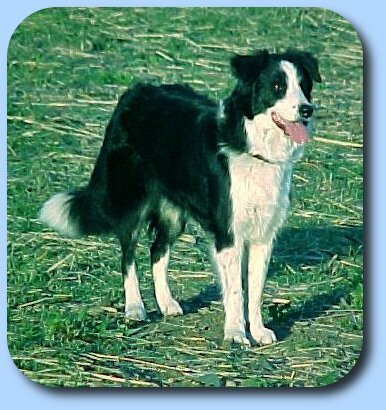 Vonny was all legs, and as fast as they come out in the paddock with the cattle, but more steady like her mum in agility - so she could get her colours!!! 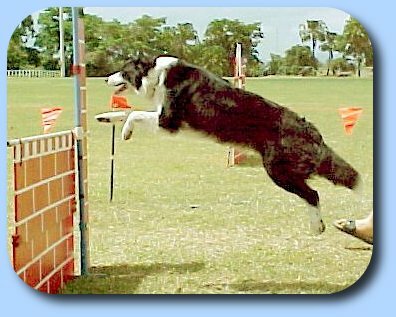 Vonny had her best year in 2001 and did well in Jumping dog and Agility. She attained her JD earlier in the year and did it in style with 3 1st place qualifications. 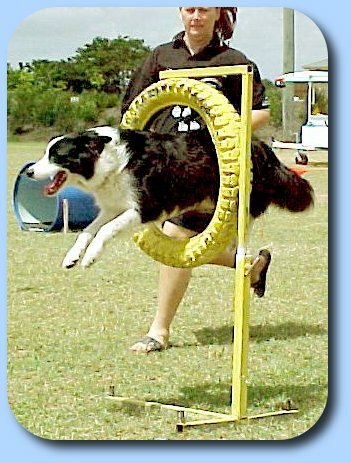 In the last trial of the year, Vonny also managed to get her last agility qual to get her AD. 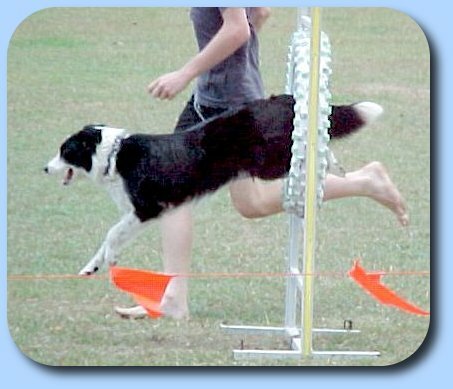 She was a big agility winner through the year and she attained her first open jumping qual. Vonny had two pups, Kai and Xev, but was killed by a tiapan snake when they were very young. See more photos of Vonny on Vonny's page. Right through the middle of the tire with her usual ease - unlike her dad who has a habbit of being a little high or lauching a launching a little early. Launching effortlessly into another jump. One thing Ivanova doesn't have any trouble with, even though this jump is 130mm above her normal competition height. Coming in for a landing after another tire.